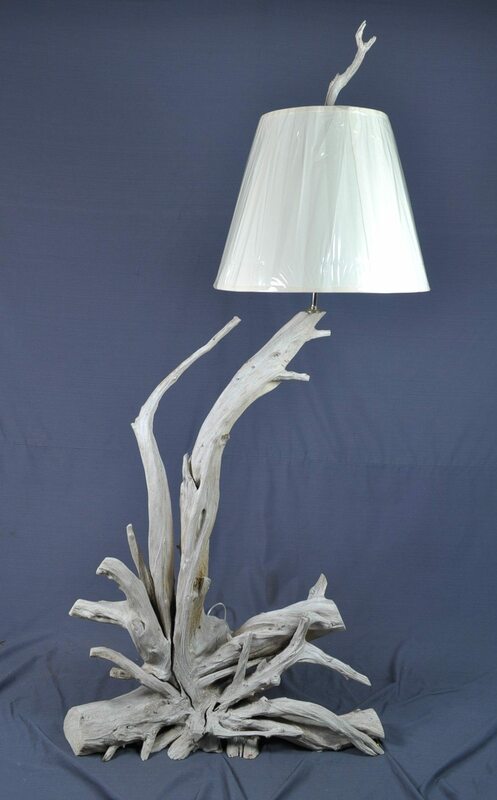 Driftwood Decor offers unique driftwood lamps made from the same type woods and finishes as our driftwood tables. 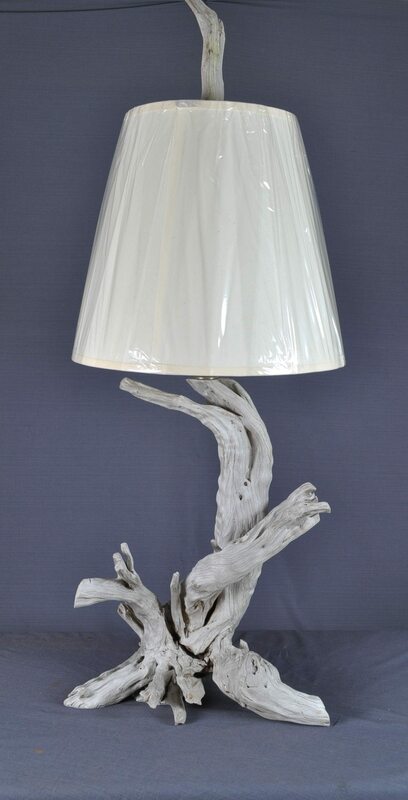 Both driftwood table lamps and driftwood floor lamps are perfectly leveled, sandblasted and either left for months to sun bleach or finished with a satin lacquer to enhance the reddish brown/blond tones of the red cedar. Table & floor lighting combinations feature a lacquered floor lamp with a small redwood burl table top attached, which serves as an end table. 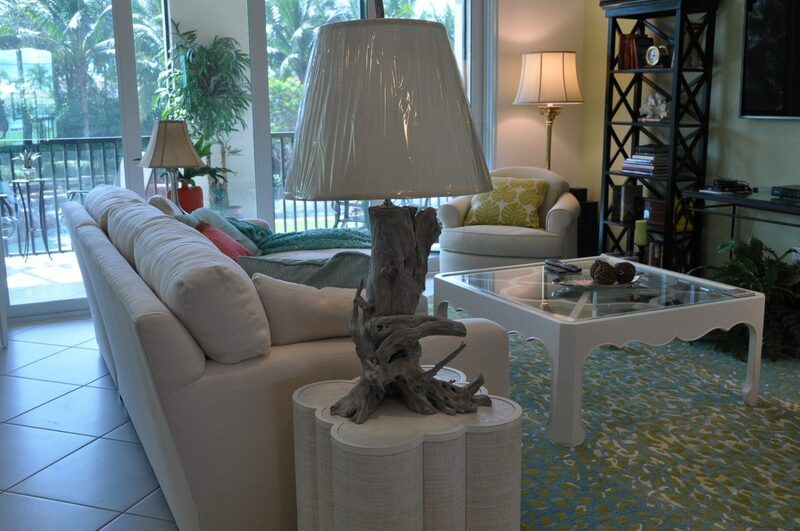 View our current inventory of table lamps and floor lamps. All electrical parts are UL approved and have 3-way sockets or a graduated dimmer switch. All wires are securely and safely hidden inside the lamps. Lamp bottoms are felted or epoxy sealed. All cut ends have a very textured, weathered appearance rather than a fresh cut look. 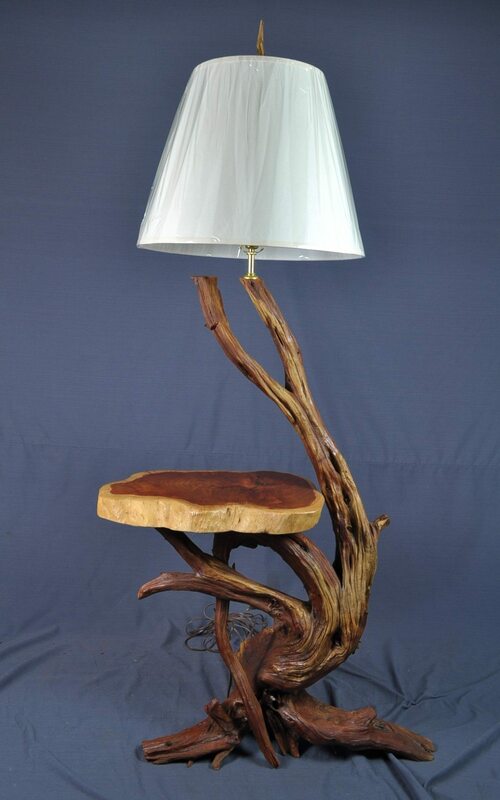 Most of our lamps are made from a single piece of wood rather than a collection of smaller assembled pieces, insuring stability and providing a much more natural finished look. 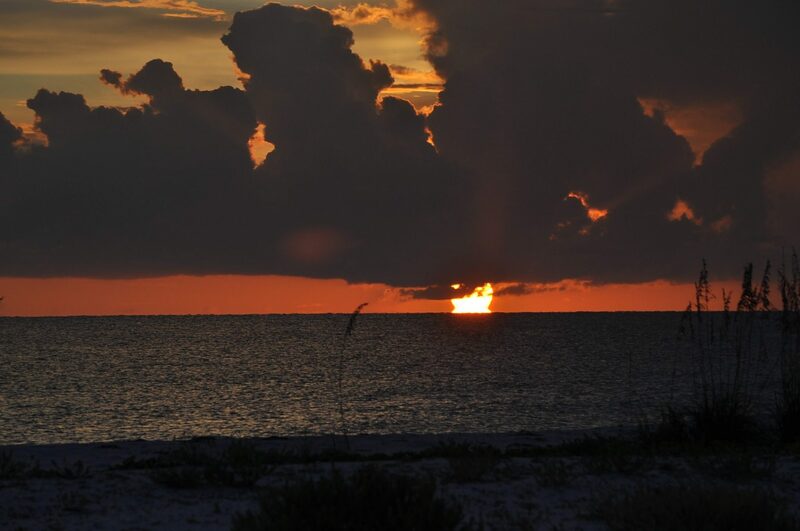 As a special added enhancement, the finials are also available in matching driftwood, giving the illusion that the wood continues beyond the shade. 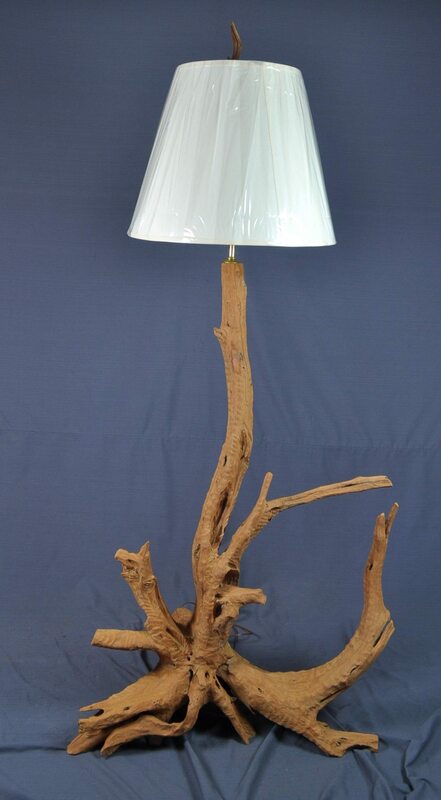 Our Driftwood lamps are a unique way to increase both the beauty and function of any area of your home or office. 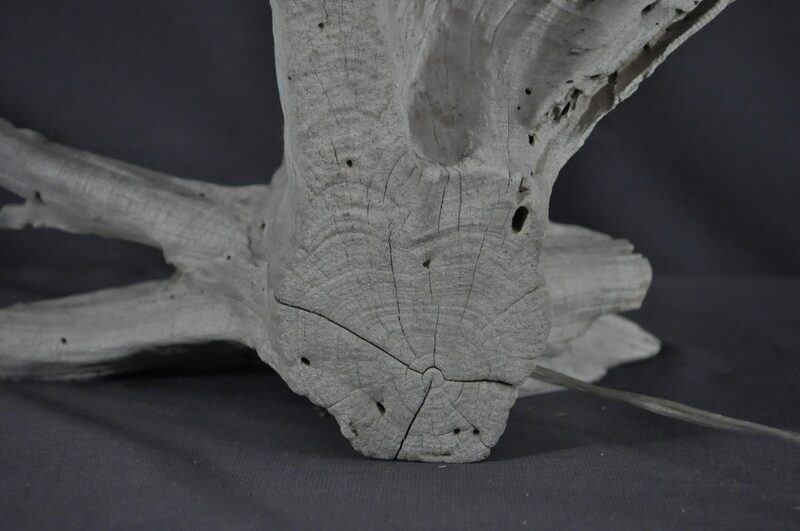 Our custom packaging allows for reliable and economical USPS shipping for smaller driftwood lamps, or air freight for larger driftwood floor lamps.